What is the value of local TV news? Despite the Internet’s adoption as a leading source of news and information, local TV stations still hold significant sway in the political and social discourse of communities large and small. In survey after survey, around 70% of Americans say they rely on their local TV brands for information about local weather, traffic and breaking news. With this, local stations are aggressively migrating to on-demand and mobile, restructuring models of content and production, breaking down the ad/edit wall further, downsizing, consolidating, and sharing or outsourcing reporting. What are the risks of major changes like station consolidation or pay-for-play ads? What innovations in local TV news hold the most promise to serve the public good? 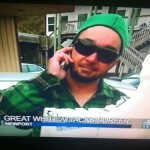 Full disclosure, I’m only an observer of local TV news, I work for a small weekly in the Upper Peninsula of Michigan. I will point out that since the digital conversion in 2009, the four commercial TV stations that service Northwestern Lower Michigan and the Eastern part of the Upper Peninsula have partnered into two teams: a CBS/Fox affiliate, and an NBC/ABC affiliate. The CBS/Fox affiliates now share reporter resources, and at the end of the broadcast on one station, they remind viewers that the news continues on their partner station, they don’t serve as a balance to one another in terms of editorial viewpoints. The other partnership has a silver lining to it. Originally, the ABC station did not have resources local content, but since the DTV standards, I’ve seen unique shows talking about local people and events. I don’t know if it’s because of the partnership that this happened, but it has provided some new content, which is good to see. Any of you have experiences that would argue for or against those assertions? To read the comments offered so far for both issues, go here and enter proceeding number 00-168. To post your own comment, click on the “submit a filing” link on the side or click here. Thanks Steve for all your hard work on this issue. Please help get this message out to your networks and colleagues, and don’t wait to share your thoughts on this issue! 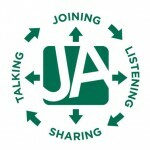 Your choice to invest energy into an online conversation on the JA is something we value deeply. A core part of our contribution back to you is to share what we learn from each forum with the JA and broader community. We have now completed a series of reports looking back on this conversation that outline performance, our engagement methodology, and distilling down potential opportunities for the future. You can find them all on our blog. If you participated in the forum, thank you for making it the resource it’s become! Please tell us what you think of our conclusions on the blog. If you’re visiting for the first time, free to add your thoughts here, comment on our conclusions or both! Greetings all – this forum opened a week ago with a fast and furious conversation, covering perhaps too much ground for an instant take-away, but with great back and forth on values and visions. Thank you for the diverse insight everyone brought to this experiment in cross-community conversation. Today we wrap up active outreach, but please know that the forum remains open for posts and responses. We can do this because because of the JA login system; since you connect using Facebook, Google, LinkedIn or Twitter, it is far more difficult for spammers or anonymous trolls to interfere with effective conversation here. Great blog, Emily. With technology evolving rapidly, this is a really interesting discussion. Thanks! I agree this thread turned out to be a resource to come back to. Hello to all on this forum – happy Monday (and Halloween!) There’s a lot here already, and plenty of room for more thoughts and more voices. We’ll continue to curate this conversation for a couple days and welcome your continued presence. One thing I see emerging is a real on-the-ground sense of the role local TV plays in communities and where it might be heading. What are you taking away? Thank you for all your insight and questions so far! I’ve been meaning to chime in but have been rather “occupied” with Occupy San Francisco. As the AAJA National Vice President for Broadcast (AAJA= Asian American Journalists Association) and a UNITY: Journalists of Color board member, DIVERSITY, is my number one priority. It’s important the newsrooms reflect the communities they serve. Ethnic communities will watch local news if the stations in their market cover the issues and stories that impact their daily lives. Fair and accurate coverage begins with a diverse staff. Not only on-air but in management as well. “According to the 2010 United States Census, non-Whites comprise nearly 35% of the U-S population but the study finds that people of color fill only 12% of the newsroom manager positions at stations owned by ABC, Belo Corporation, CBS, Cox, Fox, Gannett, Hearst, Lin Media, Media General, Meredith, NBC, Nexstar Broadcasting, E.W. Scripps Company, Post-Newsweek and Tribune. Out of a total of 1,157 managers, 1,017 are White, 81 are Black, 42 are Hispanic, 16 are Asian and 1 is Native American. I stand with NABJ President Gregory Lee and share his disappointment. We must do better. The Newspaper Guild supports more diversity in the workplace and among our leaders http://guildequity.org/home.htm and we support AAJA, NABJ and UNITY to increase diversity in newspapers and for broadcasters. The CWA also recognizes there is a lack of diversity for women and minority ownership of TV stations and that is reflected in the workplace and the way communities are covered and we made this one of our key points in our filing with the FCC for its Quadrennial Review of media ownership rules. The airwaves belong to all and broadcast ownership and employees should reflect the communities they serve. The question is how can the FCC create more opportunities to diversify our airwaves and do the simulcasts and other news sharing arrangements prevent opportunities for women and minorities to get into the ownership game? Great to see this discussion moving in this direction. We’ve done quite a bit of research on the impact of media consolidation on media ownership by women and people of color – and the results are not good. For example, women comprise 51% of the entire U.S. population, but own only about 6% of all full power commercial television stations. Similarly, people of color represent a third of U.S., but own just 3% of all full-power commercial television stations. The radio numbers are just as bad. While we have not studied this issue in terms of covert consolidation via legal means like LMAs SSAs, etc… I’m guessing we’ll see that those co-opting mechanisms also decrease diverse ownership and surely decrease the diversity of viewpoints and voices in any one market. In our 2009 paper on the future of journalism and the role of media policy, we called for reinstating the “minority media tax certificate” program. The program, which was eliminated in 1995 as part of Congress’ assault on affirmative action policies, gave tax benefits to companies that sold media properties to people of color. In the 17 years that the tax credit was in place, the number of outlets owned by people of color increased from 40 to 330. Since the program was eliminated, however, that number has decreased precipitously. Restoring and expanding the tax certificate would give these more local and diverse investors an important advantage in acquiring capital and making deals for properties that would otherwise likely be sold off to existing conglomerates. On a practical level our Organization was founded on the principal that the newsroom would reflect the community. With our tight budget we are having a hard time recruiting. I was wondering if there were any larger studies done that looked at who chooses the profession. If you walk out of college mired in debt will you choose to be a journo or a lawyer? Another question – do you think that media created outside the mainstream local TV (and other mainstream sources) will / could take over in importance, and start setting the agenda for local TV/other mainstream sources? What would it take? George? Others? Ethnic media continues to make an impact on communities that feel their concerns and issues are not being covered by mainstream media. There are two types of ethnic media. One that is language based. The other catering to American born citizens who remain connected to their cultural heritage and background. Language based ethnic media like Univision and Telemundo cover stories impacting the growing Hispanic community here in the United States. In many respects they are just as mainstream as English speaking newscasts. English-speaking ethnic media outlets tend to be newspapers and on-line sites. For instance, the Rafu Shimpo newspaper caters to the Japanese American community. BET doesn’t do local news, but they have a national following among African Americans. Sadly, there are two ways of looking at the issue. We look at it as journalists, as we should. We deplore the selling of news content to the highest bidder, the consilidation, the outsourcing of news. and the gutting of news department staffs. But while we look at it from the standpoint of ethics, integrity and objectivity, station owners and station management look at one thing; what kind of rating is needed to maintain a high profit margin. To often, answering to the values shareholders mean more than the value provided as a community ombudsman. Stations have determined it’s profitable to sell local news content. Now it’s up to journalists to fight the battle and win the war. Honestly, Emily, I’m not sure there will be that much of an effect. Steve mentions the “fleeting, cryptic ways” in which stations now disclose pay-to-play. Will that change? Even if it does, it’s going to be like so many other often repeated features on the news… people become immune to what they’re constantly being told. We care, because we take pride in what we do and we take pride in being fair. I guess the greater question is, will the public become aware, and if so, will they care? I mean, really, how many average Americans do a Google search on their local TV stations to find out if they’re using fair practices in reporting? The average citizen won’t, but there will be a variety of interest groups (and probably academicians) that will … and they’re the ones who will publicize it. Whether the average citizen will really care is another issue. Emily, I can guarantee you that academicians will not provoke change in TV news. We can’t even accomplish much in the way of change within academia. Interest groups can accomplish that, but, frankly, they have a tendency to make a lot of noise without much follow through. People — even individuals — can accomplish a lot more than they think. But it won’t happen if they just sit there and watch. They’re going to have to be more active than that. The real untapped potential lies in many of the country’s local PBS stations. Some are doing an absolutely remarkable job in local news: KPBS San Diego, KQED San Francisco, WTTW Chicago and others are performing very strongly in their local markets with a locally-focussed, quality news programing. Sensibly scheduled (in a block with, say, The Nightly Business Report and PBS NewsHour), and you’ve got an attractive couple of hours of television for the folks who want to make an appointment in front of their screen. Plus, of course, innovatively-produced content for the stations’ websites and digital platforms. The key point here is that even at a time of shrinking budgets, it becomes increasingly cost-effective to get into the local news game. Small cameras, Final Cut Pro, FTP feeds and now liveshots-by-broadband mean you can open a world class local newsroom + area bureaus for a fraction of the cost it previously required. Sadly, there are only 20 non-commercial stations that run local news, and a third of them are more than a little marginal or don’t run local news all year. And it’s not an area that’s been growing. The economics of news production have shifted substantially over the last 15 years. Gone are the days in which we all had to heave enormous flight cases of equipment all over the country – or the globe – in a bid to cover events. The camera that used to cost $75,000 today can be purchased for 1/10th of that price. The edit bay that used to cost $150,000 to equip today exists as a software program on a MacBook Pro. The latest prompters are an Ipad/Ipod combo, and the software is available in the app store as a $10 download. So…you need a bit of space….some Macs….some well-trained digital journalists….a raft of terrific stories….and some airtime. And of course you also need a totally platform-neutral philosophy that understands the local PBS station’s website, its YouTube channel, it’s Facebook page are all equally as important and valuable as its nightly broadcast airtime. Why aren’t more stations doing it? That answer coming up…..
So…why don’t more stations do it? First, it costs money to stand the project up. And many local PBS stations at this point are struggling to keep the lights switched on. They’ve got PBS membership dues to pay….legacy issues as they convert their facilities to HD and figure out how to multi-cast. (It’s hard enough running one channel…what happens when you have to start outputting 5 of them?) They’re seeing diminishing rates of return in local underwriting…partly because the rules of the underwriting road become increasingly anachronistic at a time when advertising executives need convincing of the wisdom behind a local PBS “buy” in the first place. And of course some of their fire has been focussed on trying to counter moves on Capitol Hill to defund PBS and NPR. So, it’s not easy to get things moving in a time of recession, external threats, and digital transformation. But local news, in places where PBS is traditionally strong, can be one part of the solution. Simon, I don’t disagree with anything that you’re saying about the start-up costs for local news. But the costs have been lower for a few years now, and in the flush years of 2005-2007, for instance, I don’t recall that we had a single non-commercial start-up in local (daily) TV news. I’m suspicious that there really isn’t the will in most cases. I think the focus for a lot of PBS affiliates is children’s programming and turning on the PBS spigot. We’ve talked about the lack of innovation in commercial TV news, but where is it on the non-commercial side of TV? On the non-commercial side, it’s all NPR and NPR affiliates (and not all of them). Bob, there have been a handful of stations that have started rising to the challenge. KLRN in San Antonio recently created a weekly local news program, “Texas Week with Rick Casey”. RMPBS in Denver is slowly expanding “Colorado State of Mind”. KQED has integrated its TV and radio news operations and launched KQEDNews.org, and KPBS has been doing the same in San Diego. So, it’s spotty…sporadic…and insufficient. There should be a lot more of it, to help local PBS stations to justify their existence to the community. I’m not aware of a community-owned commercial TV station, although there’s no legal reason that I’m aware of that it couldn’t happen. It would be interesting to see if it actually operated any differently than any other station. There are community-owned non-commercial TV stations, but there are few non-commercial TV stations covering local news on a daily basis, so it’s clear that community-ownership clearly hasn’t made a difference there. Frankly, I’ve never understood why people aren’t up in arms about non-commercial TV being such a non-player in local news. We have written a bit about the history and the possible future of community owned and municipally owned news outlets – the history here is interesting. However, as Bob notes, I can’t think of any models like this currently in TV. There are a number of efforts with these models in the online space though. Josh – reading that assessment Free Press put together is really informative. Joel Kramer’s quote sums up the difficulties clearly: “The same forces working against the for-profit model make self-sustaining nonprofit models challenging, too.” But a lot of impressive experiments, turning out some excellent reporting. How to scale it? On the municipally owned history – interesting. Do you think there is a parallel to what’s happening in government agencies – hiring their own reporters to cover them? The tri-county government in the Portland, Oregon area did that. and it’s a broader trend. Here’s how an LA Times reporter writing about this put it: “Those who once were merely subjects of news coverage increasingly will be looking for ways to write the story themselves.” With YouTube – will that be the future of local TV? Companies, agencies, universities etc. covering themselves on TV? Josh is correct. The efforts are almost all online … with many of them either hyperlocal or a blend of the larger community and hyperlocal. And some are doing absolutely terrific work. The bigger question, I think, is whether they’re sustainable. I don’t study the economics of online news websites or hyperlocal, but I’m not aware of any making enough money (without grants or outside support) to be sustainable. Grants work for start-up, but they’re not a long term solution. I can remember when TV innovation came from the number 2 or number 3 station in a market trying new things to become number 1. It doesn’t work that way now. Mimicking the instant gratification mentality of most corporations, TV newsrooms today appear more ready to remain number 2 or 3 (or even 4) rather than risk the failure that’s always possible with innovation. Innovation now happens online and with mobile — not on the air. I know there’s a big push on “target demos” (and that’s always been true) … but that’s really chasing a false god. Young people are not significant news consumers today — not on any platform. A station that gets all the 18-49 year-olds who are watching news at any given time will simply be the tallest pygmy around. A station would do better financially by getting the most people, rather than sacrificing real viewers while searching for phantoms. Bob – not sure if you have been following what has been happening with the Journal Register Company and there forceful move towards digital first and innovation… wondering if we could see anything like that happen in TV. Does it just take the right leader? Do we need to accept lower profit margins for a time to take some risks? Scripps has also been pushing this. At all its TV stations, the person in charge of the (news on) the web site now reports to the GM — not the news director. I think it’s more symbolic than anything else, but I think that’s exactly the statement the company wants to make about the future. Wow. FCC just took major first step on media transparency. Proposed moving the paper ‘public inspection file’ online. Most significant, in my opinion, is the potential for this to shame stations that do ‘pay for play’ — i.e. allowing advertisers to dictate news show content. They currently have to disclose these practices but it happens in fleeting cryptic ways at the end of a broadcast. Under this proposal, they’d also have to put it online – creating a permanent, searchable record. Before long, we can have Dirty Dozen lists of the local TV news shows that most often prostitute their shows. Might help dry up this odious practice. Just as important, broadcasters are currently required to disclose how many political campaign ads they get and from who. This proposal would put that online. If this becomes a final rule, it would significantly improve the access that the public, and reporters, have to real time information about campaign ad spending. Seems that would change a lot! For TV, for advertisers, for communities served by local TV stations. If you’re among those groups. . . what do you think? Also Steve – Along the lines of public service requirements – do you know whether those obligations (not specifically the disclosures you mention above, but the general FCC public interest requirements) would continue as stations move to broadcasting to mobile devices? The rules for using the bandwidth are different, aren’t they? This has the potential to be a really positive change, and we hope the FCC will move swiftly to digitize public files. Of course, we still don’t know exactly what information stations will be required to put online. In addition to pay for play and political campaign ads, the online files could also include disclosure of covert consolidation, which we’ve talked about a lot in this forum, as well as more detailed information about exactly what programming broadcasters are putting towards their public interest obligations. Your report mentions an astonishing example of a broadcaster claiming “the sponsorship of an America’s Next Top Model tryout as fulfilling the obligation to provide issue-responsive programming.” These modernized requirements could prevent this sort of thing or at least shine a light on it. I found consolidation to be a bit more complex once I got into the weeds. I ended up disagreeing with the longtime assumption of the FCC and anti-consolidation advocates that more is ALWAY better. I can easily see scenarios in which having 8 stations instead of 9 would be better. The remaining stations would be healthier and better able to invest in news. On the other hand, there are many many instances in which consolidation occurred and media companies did not use the savings to invest in news or journalism. Far from it. And then there are the examples already mentioned here of news sharing. Sometimes pooling makes total sense. Having 4 cameras at a press conference is duplicative of time and effort. But again many stations are not taking the savings (of time and money) that they might get from sensible pooling and investing it in more boots on the ground. So glad to see you participating in this discussion. Just when a TV journalist “gets it” , and can take on watchdog type roles in a community the pay isn’t there. You move or are let go to save money. Reporters especially hit a pay wall that makes it hard to stay in the business. You need a mix of seasoned and new to innovate. *Innovation. Karen Gadbois of The Lens talked about how her investigative website lives in a TV newsroom – how they work together and how they remain separate. Keely Damara of Beartooth NBC says “local news survival depends upon . . . developing content that was meant to be read or seen online, not just adapting what was compressed for air. If you know of more examples of TV thinking outside the box, please flag them up! More in a minute. . .
*Opportunity. There’s a constant conversation thread here on how TV can potentially fill a real need for local information in communities, partly in response to the collapse of newspapers. What’s the definition of a TV station fulfilling its public service obligations and maximizing what it provides to it community? If there were an agreed on standard, it might be easier for both communities and stations to judge the value of TV news. *The role of video. Mark Platte of Hawaii News Now says that :If you can believe it, people don’t care very much for video on TV or newspaper Web sites unless it’s a raw extra or something crazy and compelling. He says live and mobile is the future. Libby Reinish and Josh Stearns point out how powerfully video communicates and questioned whether local news channels are really pursuing video that tells the story of a community. Are people – or TV broadcasters – so tuned into the immediate that that background gets tuned out? One more comment on innovation I want to flag up: News director Mark Platte says “Overall, TV news has not evolved and looks pretty much like it [did] 10 or 20 years ago.” But much of the innovation focus is on how it’s delivered – ie mobile and on-demand v. broadcast. Who has seen or imagined TV news that LOOKS different? This gets to the theme of the power of video too. The chapter on local TV news in the FCC report — the most in depth chapter in the whole report — recounted many positive trends, including improvements of disaster coverage. In some cases, the best TV stations have gotten better, complementing reporter-driven journalism with creative use of citizen-generated content. But the report then also described the collapse of the beat system, cut backs in investigative, the paucity of political coverage and most disturbingly, the persistence of “pay for play” (when an advertiser dictates the content). Also important to put this in the context of the broader changes in the media landscape. The contraction of newspapers gave TV stations an opportunity to fill the void by doing more reporting. Instead, on average, TV stations cut back staff while increasing hours. A big lost opportunity. I can’t echo Steve’s comments enough – if you have not read the FCC report section on broadcasting it is, along with Pew’s yearly study, one of the most comprehensive and clear-eyed examinations of broadcasting in America I’ve seen. It raises some tough questions, many of which have been raised in ways in this forum as well. I think local news is still dominant because it’s clear cut. I think people want more information and will search for it. But I think TV serves a great purpose for giving people the information they need to know NOW. I don’t think any news organization has found a way to make the web THE place to go. I know that sounds a little odd because I LOVE the internet and am always looking for different ways to reach out to our viewers. However, the web is still my supplement and I feel like that’s the sense I get from a lot of others, too. Am I alone? Denise’s posting of a study on TV news reminded me of this study by economists Felix Oberholzer-Gee and Joel Waldfogel on local TV news coverage and voting: “We find that Hispanic voter turnout increased by 5 to 10 percentage points, relative to non-Hispanic voter turnout, in markets where local Spanish-language television news became available.” The fact that more Spanish speakers voted when they had access to TV news speaks volumes to me about the importance of TV news in fulfilling an essential function of democracy. I think the idea of TV news fulfilling an essential function of democracy is critical. With that comes the question of how political advertising impacts TV business models and what that means as TV (and the accompanying ads) move to the Web. Knowing that audiences *can* be swayed by appearances on TV and also that audiences flock in higher volumes for election coverage, what are things you do or have seen others do *besides pundit commentary* to ensure that a more sophisticated audience will emerge? Asking from a web background. I must admit I’m not as familiar with the possibilities with “linear media” like TV. Denise, this is an interesting point as a new Pew study found TV just ahead of newspapers as a source people turn to for local politics. (A summary is here – click through for the cool interactive) Mark Platte – anything specific you do to help voters get nuanced / sophisticated info to inform voting? What experience do other reporters/news directors/station owners have in this realm? We produce a large number of live debates during election season (we’ll do five in 2012) and we are very big on poltics, although we know that so many people are not interested in the political process. Hawaii is last in the country in terms of voting so it’s important we address these issues. Got to go to morning news meetings now and get some news flowing. This is a great discussion. As this forum points out, local TV news is still the source most people turn to to get their information. Like Jessica, I wrote a study of the media ecology of my local community, the Triangle (Raleigh/Durham/Chapel Hill) in North Carolina. Our market is unusual in that not only is our top TV news station, WRAL, locally owned, it also dominates the online news market, at least in terms of audience. WRAL has, to its credit, put a lot more resources into online media than has the McClatchy-owned News & Observer newspaper. But we’re seeing many fewer reporters overall. One point I’d like to raise is that researchers, policy watchers and interested community members need a way to access archives of local TV news broadcasts. I’ve found it incredibly challenging to do research on TV news content due to a lack of archived material. Neither the online version nor the “issues and programs” reports are representative of content. Does anyone know of such efforts? It’s true that it’s very challenging to find archived material online. This was a huge challenge when we began our Change the Channels campaign, and we have relied on our network of activists to send us footage. There are subscription services out there, but they’re not cheap. And while it’s not video, the FCC will be considering a new rules to digitize stations’ public files, and that digitization could include searchable, better categorized issues/programs lists. It would at least be a step in the right direction, not only for researchers but also for community members who want to learn more about what their stations are doing to serve local needs. This measure is on the agenda for tomorrow’s FCC meeting. A great example of why local ownership matters. Thanks Fiona. Thanks, Libby. Yes, digitizing public files will be some help and I was glad to see that in the FCC report. And I completely agree about the need within the community, not just among academics and policy types. Tomorrow the FCC will begin an effort to replace broadcaster’s current issues/programs lists with a more representative and accessible tool. http://www.fcc.gov/events/open-commission-meeting-october-2011. I’m sure the FCC would appreciate hearing from academics that need better access to this type of data. Fiona, you have hit on a big issue in online media in general. Archiving limitations are huge. This is a perennial concern among the online indie news publishers I have spoken to. Local news has tremendous value. Having important institutions reflect local values is critical to public policy development. I am a consumer advocate for utility customers. Last year we were able to get Oregon’s largest electric utility to agree to phase out the Boardman coal plant which is Oregon’s largest source of carbon emissions. It is the first modern, baseload coal plant scheduled to close. It simply would not have happened if the utility was not a local independent utility. But as a local utility it recognized the values of the community it served and was able to work with consumer groups, state regulators, and environmental groups to develop a plan to close the plant. There has been plenty of consolidation in the utility industry. It is always claimed that consolidation will reduce costs and benefit customers. There is no evidence to support this. Large multi-state utilities do not have lower rates than small local utilities — in fact they tend to be higher. Thanks for this perspective Bob – nice to hear how some of these issues have played out in other sectors. Sounds like you do good work there. Bob – thanks for bringing in experience from a different industry to bear! Did the coal plant “recognize the values of the community” or submit to public pressure? If the latter – through media or private channels? The dumbest thing TV stations could do is put up paywalls. I only know of one broadcaster thinking about it (and they’re an old print company). Newspaper companies put up paywalls to protect circulation, and they tend to define success as having a lower rate of circulation decline than the industry average (the NYT is different, of course). But I view that as a short-term answer to a long term problem. It’s a finger in the dike — and a pinkie at that. I can count an exact number (but not right now), but so far consolidation has shut down maybe a dozen newsrooms. I could be off by a couple, but the point is, it’s not that many. I have a bigger concern about the future than the past. Local TV news added 750 jobs in 2010, making up for all of the losses in 2009 and making a dent in the losses of 2008. I expect 2011 to be a bigger year, despite it being an odd-numbered year. On websites, there are a growing number of TV websites around the country that are the top news websites in that community … and that number will skyrocket with newspaper paywalls. The loss of an entire newsroom is kind of a big deal to the community impacted, especially in smaller markets that don’t have that many different voices or options in the first place. In Peoria, IL and Wichita Falls, TX, two companies now run all of the newscasts in the market (there used to be 4). In Syracuse, 2 companies control five stations as well. Re: jobs–This sort of connects to what Mark was saying–they’ve hired back 7 or 8 people, but they initially laid off 68. Do you know what percentage of job losses took place in 2009 and 2008, as opposed to pre-2008? 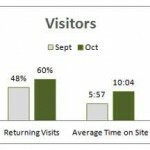 TV Web sites and mobile devices are undergoing tremendous growth. In Honolulu, we are getting a lot of traffic from people who routinely visited the newspaper’s Web site, which recently put up a pay wall. The newspaper believed that any money it got from a pay wall would be gravy because the ad revenues were just not there. If you can believe it, people don’t care very much for video on TV or newspaper Web sites unless it’s a raw extra or something crazy and compelling. Ultimately, mobile is where it’s at and TV news on demand (we live-stream all our newscasts) will be the ultimate goal. How are you going to get people to pay for that? Or will ad rates be better than broadcast? Tablets didn’t change the love of “free news” apparently. NABET-CWA members represent the employees behind the camera in many cities. Our first-hand experience where news sharing arrangements exist, there are fewer crews to send out to cover stories. Many stations claim consolidation frees up resources to do more enterprising stories, but the fact is there are fewer crews and less enterprise stories than when multiple stations competed for viewers. The FCC study led by Waldman bears this out. When we talk about local TV news, we’re not necessarily talking about coverage of local issues. One of the most interesting findings in Danilo Yanich’s new study is that covertly consolidated stations, more often than not, produce many fewer local news stories than independent stations and rely more on fluff pieces to pad their newscasts. If much of the value of local TV news is in coverage of local issues, it seems the independent stations provide better value to the community. LIbby, in your interview with JA ahead of the forum, you and Josh discussed the “ideal” newscast as being much heavier on local political, social, economic information than weather and traffic, things people rely on local TV for. How much of your campaign is about changing what’s covered? What else besides station ownership, do you think, plays a role in that? Just wanted to pipe in and say as an on-line news source we attend far more local government meetings as well as community meetings, we can inform our TV partners of on-going stories. We have also started to cover ALL the Charter School Board meetings. With the charter school movement comes the issue of who will cover all these meetings? We no longer have one school board to cover but 45 boards controlling 65 schools. That is also an interesting challenge in the future. Other reports suggest that those findings are fairly generalizable to other major markets…. Could local TV news be doing better? The other key issue with quality of local TV news is the trend to fire veteran journalists because they get “too expensive.” It is very hard to delve into issues when you are constantly retraining people how to pronounce names of places correctly in your market. Also don’t forget, viewers say they want certain types of news, TV stations give them stories on those subjects, then sometimes the ratings flop. Again, you have a newsroom of people that need to be paid. Not cut and dry. Agreed. That also impacts the ability to cover beats in-depth if we fire the people who have the longest history covering a certain issue. Great forum topic. In 2010, as a New America Foundation media policy fellow, I examined the media ecosystem in Scranton, PA (and more largely, Lackawanna County), where I live. What I found is Scranton is a community that typifies the underserved American city regarding media. — The #1 local TV station, ABC affiliate WNEP, has dominated the local TV news space for decades. The #2 station, NBC affiliate WBRE, is a distant second. This is worrisome because essentially one channel speaks for the market. The #3 station, the CBS affiliate WYOU, discontinued a local newscast altogether in 2009, to save station owners $1 million a year. WBRE partners with the local Fox affiliate for news, so WBRE’s news staff changes badges two hours a day and reports as Fox newscasters. — Stations have inconsistent public interest obligation reporting practices. They make it difficult to analyze what and how much local coverage is achieved. Little accountability. One question I think it’s important not to overlook–The FCC has rules in place to limit how many stations one company can own in a given market. These covert consolidation deals allow companies to control more stations than FCC rules would allow them to own. This raises serious questions about competition and diversity on the airwaves. And to make things even trickier, companies don’t have to disclose these business deals to anyone. Shouldn’t these deals be a) transparent and b) overseen by the FCC? In addition to ownership limits, it is meeting the public service requirement that the broadcast license demands? This is Danilo Yanich at the Univ of Delaware. I did a piece of research on the Honolulu market that I completed in Feb and I just filed a new report with the FCC on Monday in which I looked at the local news content in 8 DMAs with the service agreements that have been implemented. First, I’m happy to be part of the conversation. A couple of points—I think Bob Papper’s comments about the FCC’s reluctance to deal with these agreements is correct. One more thing, though, my research shows that a good proportion of the SSA/LMAs are not simply between stations where one did not have news before. For example, in the 9 DMAs that I studied (including Honolulu), the majority of agreements are between big-four affiliated stations in the market. Hello, this is Beth Johnson founder of Survivetvnewsjobs.com. Consolidation I agree is not as simple as it seems. In some cases, such as CW affiliates you have news where there never has been a presence before. There’s definitely a valid quantity vs quality debate. But to me the consolidation debate should include the fact most broadcasting companies are missing out on a huge opportunity. Consolidating with a secondary station like a CW gives journalists a chance to experiment with out of the box ideas to reach more audience in new ways integrating social media to provide watchdog type journalism pieces in creative ways. Great point Beth. TV news must absolutely evolve and innovate. We talk all the time around here of what we want to do to make our broadcasts different in that we produce 40.5 hours of news a week. We do integrate social media in a number of ways here and are heavy into Facebook and Twitter. We will take any great idea that makes sense for our audience and try to incorporate it. Overall, TV news has not evolved and looks pretty much like it do 10 or 20 years ago. Can you say more about what out of the box experiments you are referring to? Hi Mark. I’m curious about that number. Is that 40.5 hours of independently produced stories, or are you counting your simulcast news across the three stations? Thanks. Absolutely agree that TV newscasts do look much the same in the last two decades. Do you aim for different demos at different stations and use different types of “experts” and story telling techniques based on which station the story will air on? Yes. Some examples. Let’s say there’s a big budget crunch and there’s discussion of closing schools. One station can do a traditional type newscast, mentioning this idea with a traditional reporter package. The other can dedicate part of the newscast toward perspective pieces so viewers can look at the issue on a larger scope. Or if you are targeting different audiences at stations (example CBS traditionally has older viewers at night, CW younger) you tailor how you package the issue based on how it could impact that audience’s bottom line. Or you do skype interviews from other places in the country that implemented a proposed change on one station, while offering more variety of stories on your other station. We try to make our 5:30 pm newscasts different to appeal to a younger demographic with almost no packages and quick VO-SOTS. We do a “What’s Trending” on the Web segment and use more Facebook callouts. We are the only local news at 5:30 and 6:30 pm. Our research hasn’t uncovered any examples of this kind of different packaging. I would be curious to see video examples of this. I wonder though, even if the approach to coverage differs, if the journalists and editorial staff are identical, aren’t you still depriving viewers of independent and competing news sources? Mark, when I was reporting from Iraq, I became intensely aware of how much more could (not always was) put out to the world when more than one reporter covered something. What are your thoughts about that? You talked in your interview with JA ahead of this forum about tackling one story different ways for the different broadcasts. Do you feel much is affected when you lose sets of eyes on one story? Journalists should be trained to look at issues from different perspectives. It all comes down to quantity vs quality. The key issue is are crews given enough time to gather the information to informatively provide pieces on different angles of a subject. The fact it is the same face should be less relevant than if the person was truly able to research. 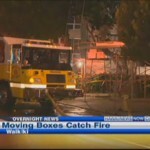 At many stations crews are turning two packages a day on two different subjects. That means when you take out time for the editorial meeting, script approval, editing and drive time a reporter gets 45 minutes on average to turn one of these pkgs. As for video examples, as I stated earlier, broadcasting companies often do not vary the newscasts much, Missed opportunity to grow the medium. If you are getting good ratings on your “main” station, you are not going to risk going out on a limb with out of the box ideas. Think “if it ain’t broke, don’t fix.” The money has to come in to pay for the news staff. Secondary networks often can make less and still turn a profit. The expectations for ratings numbers are not as high. The cost of ads are not as high. That means more flexibility. I am a strong believer in having the most competition. I have worked in some of the most intensely competitive markets in the country, including South Florida, Southern California and now Hawaii. You can see how having a one-newspaper town in Honolulu has hampered competition on stories. That said, we work for businesses and in the case of KGMB and KHNL, these were stations that were either losing money or barely breaking even. We have turned this into a strong business model and improved the coverage that either of those stations provided before. I know people don’t really want to talk about the business aspect of TV or newspapers, but they are businesses. The money piece is crucial. A big part of the JA is to build conversations like these around innovation and news for communities, but it’s got to be financially sustainable. Mark – how much of profits get rolled back into news ops? Can you imagine a not-for-profit model for TV that could deliver a lot of news? I mean commercial switching – like the debate around newspapers. And obviously there’s public broadcasting now – but local public TV stations don’t do a lot of news. This is a great resource on public TV – white paper by Barbara Cochran. As far as a non-for-profit model for TV news, that’s a tough one. True, PBS provides a great service but to actually staff (and outfit) a full news team in a way that any commercial TV stations does today would be extremely difficult. Would love to hear some more ideas about this. It may be a strong business model, but of course we’re talking about a virtual triopoly in the market. That’s going to come with all kinds of economic advantages, such as cutting overhead, controlling local ad rates, etc., but it’s also anti-competitive by definition. The FCC’s rules are designed to protect competition in the market. The shared services agreement between your three stations circumvents those rules and so that Raycom can control more stations than the FCC’s rules allow. (b) Can it be revived? With stations being bought by entities interested more in short run profitability than the responsibility to the local community shown by organizations like WRAL in North Carolina can the bar be reset. There are different ways of making money – providing the cheapest possible product to a small audience or a more robust and attractive product (admittedly requiring greater use of capitol). I would prefer the latter. An example of this is the UK where it is possible to argue the solid reporting provided by the BBC requires its competitors (Sky and ITV) to match its quality to avoid embarrassment. TV news profit were up noticeably in 2010 — compared to 2009. But it’s really that profits fell with the recession and picked back up — heavily with the return of auto advertising — in 2010. Part of the problem is that broadcasters — like too many other businesses in the U.S. — are still nervous about what’s going to happen in the economy. So, while they’re expanding, they’re doing so very cautiously. And I expect that to continue until the economy gets stronger overall. Bob – do you know of any relationship between the “type” of news TV stations offer – and the viewership – or the financial returns? I know it climbs during severe weather and natural disasters. Can you imagine a future where weather/traffic/breaking news would be all TV stations tried to offer – but did it really well? Since Honolulu was mentioned here and we are part of a Shared Services Agreement, let me say that we have had a very positive experience. We have actually been able to add staff since I have been here and change up our news product as much as possible. A recent viewership survey confirms that people like what we are doing and we’ll keep doing more of it. Hi Mark. How many staff were laid off initially and how many have you replaced? Are these newsroom jobs? We have added six or seven to the newsroom since I joined in May 2010. It’s true that dozens were laid off as a result of the SSA but many of these were duplicative positions. When I worked at the newspaper, we lost hundreds of jobs in two years. I wonder about that term “duplicitive positions” — with the Knight Commission, The FCC and others documenting that there is a crisis in meeting community information needs…. would your community agree that they don’t need those journalists on the street? Hi all. Video is a powerful communications tool. TV journalism, done well, can provide us with rich information about issues that impact our local communities. Broadcast TV is also a free, over the air service, accessible to everyone. And because broadcasters lease the public airwaves for free, in exchange they have a responsibility to meet community news and information needs. That makes local TV news a service that should be responsive to community input. Bob, what about station consolidation? What’s that doing to the amount or type of news on local TV? Ethan Zuckerman of Harvard and MIT recently said that video is becoming a universal human language – speaking of the role of video coming out of the Arab Spring – if video is a universal human language – what is our evening news telling the world about local communities? Are they portraying the issues that really matter? Here are a couple things I’m particularly curious about – to start out. Bob – your latest research showed TV news is growing in profits – and offering more hours of news. What’s the fuel? Any cautionary notes? Our site The Lens is an unusual hybrid of on- line news which is housed in a TV newsroom. The Lens was a start-up organization that came in to the newsroom at the invitation of one of the reporters and producers. It goes without saying that it expands our reach and we add a depth to the reporting that the TV newsroom may not have been able to accomplish without us. So how do you collaborate exactly? We collaborate on some stories, sharing sources and research. But we always develop our own stories. The television station does not have any editorial control over us, we continue to be an autonomous entity housed within the newsroom. I find this very interesting, because I often think that local television news would do better to follow the lead of their newspaper counterparts and have reporters that focus soley on web content – since that is what people want – information on-demand. I’m sure this is the case in larger markets. Our station in #206, so we have quite a small staff. While I will turn to local tv news if I happen to be watching tv during their broadcast, I would choose a local newspaper site over a tv news site in a small town for my news any day. Why? They are more thorough, because they are not bound by a 20 minute timeframe to tell their stories. We have two broadcasts a day, a 6PM and a 10PM. Obviously, we are on the slim side of broadcasts compared to most stations, but it’s still worth noting. I think local news survival depends upon adapting to the web better – which means developing content that was meant to be read or seen online, not just adapting what was compressed for air. HI Karen – how long did it take to develop that relationship – I know Voice of San Deigo took about five years to develop their broadcast partnership. There are and have always been stories you read and stories you hear. We try and bridge that. Sometimes a story that is not a good TV story but has vital information gets told on air by means of the Morning Show. One of our reporters will appear on air and talk about the story and then point people to the web site. Karen – why do you think the station might not have been able to accomplish the stories you do on its own? Why not hire more investigative reporters? Hi Josh..The relationship was developed when I was a blogger and a local TV reporter was picking up my stories. There was one story in particular that became a multi award winner for him. After that I went about finding people to work with and create a non-profit entity. When Lee, the reporter changed stations we, The Lens was invited in. I agree that stations must adapt to the web better. We TV journalists also must take a look at why people turn to the web. In many cases they are searching for answers to questions, and furthermore they want to connect intellectually and socially with others for more perspective. TV stations can provide perspective and implement story telling techniques to make issues more compelling. That allows for more time to delve in, without viewers changing the channel. Because of the fast turnover of news the reporters are always trying to stay ahead of demand. We can develop stories over weeks which allows us a certain freedom. We have also started some off site projects, sitting in coffee shops and talking to community members. This allows us more face time with folks who may become sources for stories. Karen – what’s your sense of cost? is it cheaper (and if so, how much) for the TV station to collaborate with you rather than hire? I can’t really speak to cost. I don’t know what the station pays. We are always toggling the value in our heads. I can say that with our 2 editors both veterans of the local newspaper, The Times Picayune we bring a lot of institutional knowledge. The TV newsroom here produces a lot of talent that moves on to the national market which means the new people have a steep learning curve on the “who is who” front. That is vital to any in depth story and something that concerns me as people are cycling out of their jobs. Perhaps it would be easier for the station to hire another reporter but with over 8 hours a day of news they are in a pretty constant churn. Let me start my answer by saying that what’s taking place is a lot more complicated than the question implies. Kind of like life. TV stations are adding staff – not downsizing (that ended in 2009). But they’re also expanding their news, which has the effect of spreading a stretched staff even more. Consolidation is also more complicated than one station simply gobbling up another. That has happened, and news voices have been diminished. But there are actually only a handful of examples like that (including Honolulu). Most of the consolidated operations have involved a network affiliate that’s now ALSO running news on a CW or MyNet or independent that didn’t run news before. But there’s no question that consolidation could well pose a threat to diversity in TV news voices – depending on how it spreads. It’s also pretty clear that the FCC doesn’t seem to care about this and doesn’t seem interested in policing it. Which is another question that someone should ask. We’ve documented some form of covert consolidation taking place in 89 markets–many of them involve merging two newsrooms into one. Here’s a sampling of layoffs we know are the result of this practice: 68 in Honolulu, 30 in Peoria, 45 in Syracuse, 24 in Salt Lake City. Bob, Good point on the perception of the FCC. The recommendation of the recent report proposed updates to the rules around public files that may soon be acted upon. If they are it will provide better data for citizens to ask questions of their broadcasters, but I think you’re right it’ll be up to citizens as the FCC will not likely take the lead. Bob, You mentioned TV stations are adding staff. I haven’t had a chance to read your report. Can you share additional detail? How many news staff does the average station have? What has the increase been? HI Bob – it’s true these are complex issues and I really didn’t want to generalize what is going on around the US without real evidence. 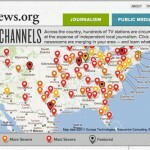 But so far http://www.changethechannels.org has found more than 100 markets with some troubling trends. On that site we have been tracking job losses, collecting videos of actual coverage and listening to local people’s concerns. My question is – can we really say there is “more news” if much of that news is photocopy stories either simulcast across 2 or 3 networks or one news script being read by different anchors on different stations? Your point about defining more news is valid. It depends on how you identify reach. Some argue that reaching younger, minority audiences through networks like the CW or WB is very worthwhile even if your content is virtually the same. I worked in 3 stations that acted as duopolies and in each case the secondary network was treated as such. Those newscasts got the same information or the scraps leftover from crews that the other newscasts did not want. Would the TV industry support the FCC getting more involved in this? Seems like RTNDA and SPJ try and fight any and all government control. Cuts both ways? Just a quick translation if anyone needs it – RTDNA – Radio and Television Digital News Association, SPJ – Society of Professional Journalists, FCC – Federal Communications Commission, of course! Welcome to the JA forum on the value and challenges of local TV news! This is an open conversation welcoming different perspectives on the question posed – we encourage you all to bring your unique voice to this mix. A few folks who bring deep knowledge on the topic at hand are joining in to kick start the conversation: Libby Reinish who runs Free Press’ Change the Channels campaign raising concerns about stations quietly consolidating; Mark Platte, who oversees content for newscasts on three local stations and a joint website as news director for Hawaii News Now; Bob Papper, Professor of Journalism at Hofstra, who tracks the broadcast industry annually for RTDNA; and Karen Gadbois, co-founder of and staff writer for The Lens, a non-profit investigative news site in New Orleans. We welcome everyone! We are are eager to see how this conversation unfolds and will be here as your host as the conversation gets underway. I stumbled upon this thread via twitter. I work for a local television station in Helena, Montana managing web content and social media presence. Care if I join?